I’d always had a keen interest in 4×4’s, I guess I got the bug when I saw Gareth Hunt driving a 2 Door Range Rover in the New Avengers. 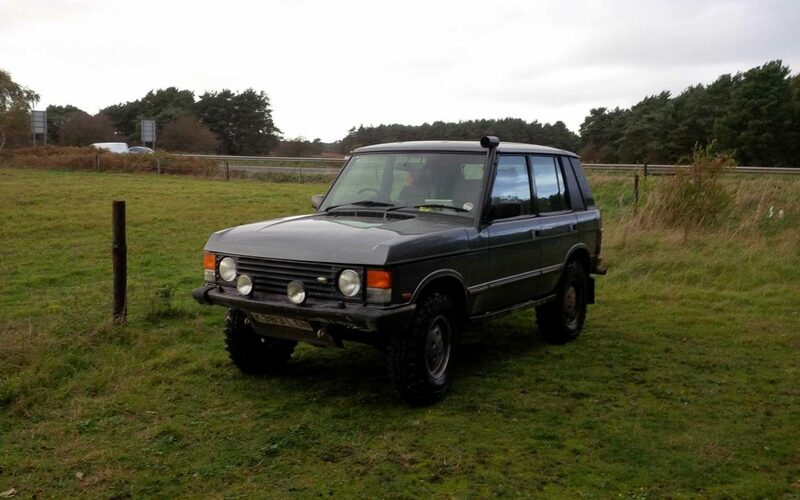 Fast forward to 2001 and I brought my first 2 door Range Rover, which was used mainly for proper off roading, a frequent visitor to Wildtracks, Bures and Devils Pit. Then in 2006 I was taken out in Kings Forest green laning. I got the bug instantly, but after the last trip to Bures the 2 door was dead. I decided to concentrate on rebuilding my other 2 door Range Rover into a bobtail, a project like many that failed to complete. Fast forward to 2010, I’d gone self-employed and had some spare cash, so Bob was brought. I ran it for a short while before discovering it needed welding, and eventually got I on the road properly I decided that I was going to green lane and not pay and play. After a few of the early outings I’d started to hone my map reading skills, started to lead people and laned with people I met on LandyZone. I lane mainly locally, Cambridgeshire during the summer months because most of its shut with seasonal closures during the winter, neighbouring Suffolk and Norfolk all year around, because Thetford is pretty sustainable all year round. My closest lane is actually right behind the close where I live! I’d been doing this for a about a year before I first met Kirk, and not that long after that met Brad. Kirk was much more experienced in running trips than me, it was good to get help and advice from him. It was also good to get an insight into places to visit further way and what they had to offer. My laning was moving up to a whole new level….. And getting to know Brad demonstrated that laning was popular to all age groups, not just old gits like Kirk and myself, but fundamentally we all had a common interest – our love of laning. I grew up on the outskirts of London, Heathrow airport right on our doorstep, and ended up being a software developer for a living, usually constrained to working in an office. But I loved being outdoors. I love the big open spaces, the views, but also the tight little lanes where you never know what’s around the next corner. I have a keen interest in military history as well, so I often like to use that as an angle to research areas where we plan to lane. It’s great to share the experiences and knowledge with other people, but I also like to go it alone sometimes and just chill. And ATUK? I’m immensely proud of the team and what they have collectively achieved, and the family like feel I get from other members. It’s nice to be able to help people just starting out in the hobby, and continue to learn from the guys and girls that have been doing this far longer than I have.